On January 12, 2002 Barry and his father, Dr. Hal Webb met in Detroit and boarded a flight that was to take them via Japan to Manila. They were three hours out over Canada, when the pilot announced that they were losing oil pressure in the number four engine, and that they were returning to Detroit for repairs. So after six hours in the air, the Webbs were back in Detroit. The airline lodged them over night, and the next day they boarded the same aircraft and flew to Tokyo, where the passengers were divided up onto two different flights to Manila. The Webbs arrived there a day later than they had planned. For the first three days the Webbs preached revival meetings for three combined churches. The Lighthouse Bible Believers Church in Panaque hosted these. The services were well attended and many believers made decisions. On Friday night, these churches combined for an evangelistic service at the Las Pinas Baptist Church. There was a good crowd with many visitors. God blessed and souls came to Christ. 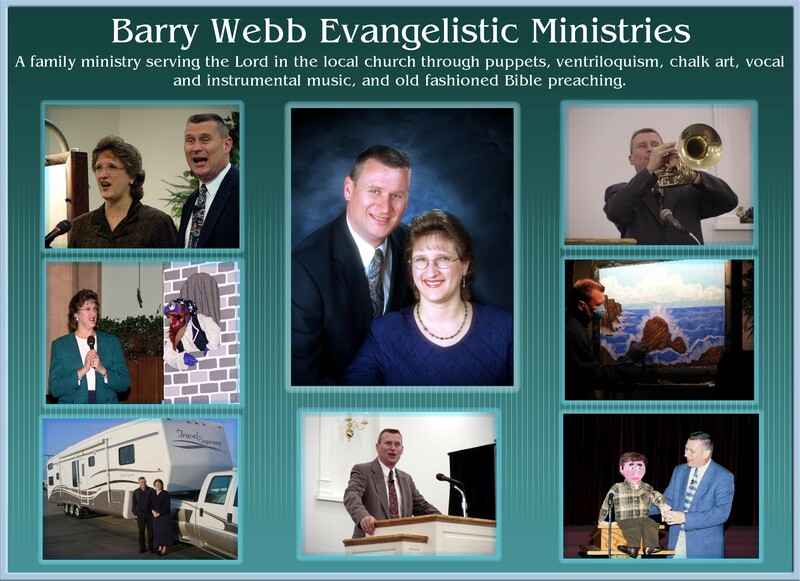 On Sunday, Barry and Dr. Webb split up to preach in different churches. The Webbs spent their second week in Quezon City working with missionary Dennis Potts and the Gospel Light Baptist Church. They held nightly services at GLBC, and also preached chapel at Gospel Light Christian Academy. One day, they held an assembly at a small private school in the area. Most of the teachers there are members of GLBC. They brought many visitors to the services at night. Another day they held assemblies at the second largest public school in Manila. The Principal is a member of GLBC. 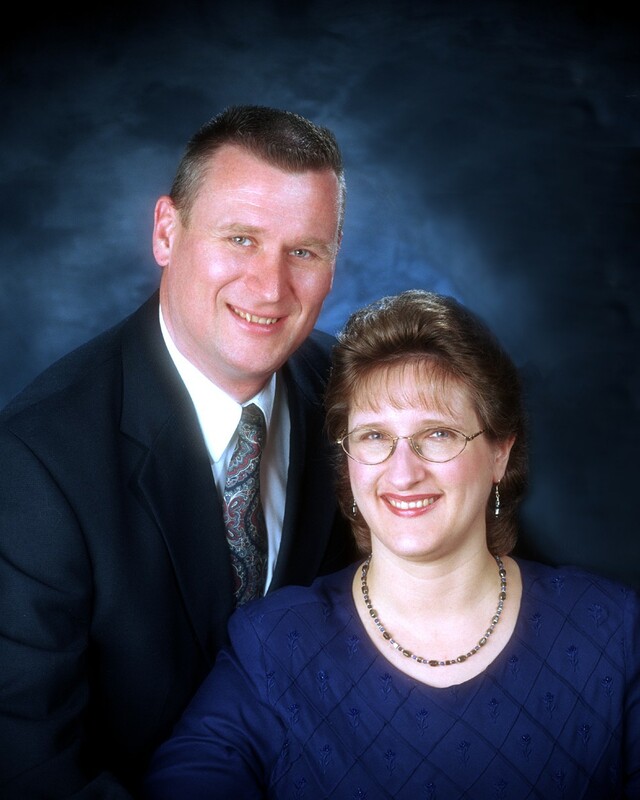 The Webbs had two assemblies of about 500 students each. They presented the gospel through music, testimony, and puppets. Another day they went to downtown Manila for two services at the Guzeman Institute of Technology. The students of the Bob Jones Memorial Bible Institute in Quezon City participated in these services. Nearly three hundred college students attended the meetings. Many trusted Christ! Several doctors attend GLBC. They arranged a program at the Heart Center. The Webbs set up in the children's ward and shared the gospel through music, puppets, and testimonies. Many hospital staff and visitors stood at the back of the ward and just outside to listen. The church staff then witnessed to patients and their parents, while the Webbs made balloon animals for the children. For their last week of the trip, the Webbs traveled two hours north of Manila to Angeles City, where missionary Tom Ashley pastors Hillcrest Baptist Church. They held a week of services there. There were many professions of faith and some great Christian decisions in these meetings. Hillcrest is working to plant churches in the nearby resettlement areas that were built to house people made homeless by the eruption of Mt. Pinatubo. On Saturday afternoon the team held an outdoor service at one of these resettlement areas where Hillcrest is planting a church. Many young people came. Several teens and some children trusted Christ that day. On Tuesday, February 5, Barry and Dr. Webb boarded their flight to return to Detroit. They were 45 minutes out when the pilot announced that the number three engine had lost oil pressure and had been shut down. The aircraft was returning to Manila. There were no parts in the Philippines to fix the engine. The airline lodged the passengers in a hotel again, and worked to get 400 passengers to their destinations any way they could. Barry and his father were split up and sent hopping from airport to airport and airline to airline until they finally reached home a day and a half later than planned. Needless to say, they were glad to be home!